Which are the priciest watches in the market? I have been often asked by friends. “Priciest” is a relative term and depends on who is asking. I would categorise watches which are over Rs 1 crore as the priciest. That is numeral one followed by eight zeroes. So here is the list I have prepared of the priciest watches presently available in your city. Well, this list is not exhaustive for many watch brands are not willing to quote their price and they do so only to a prospective client. 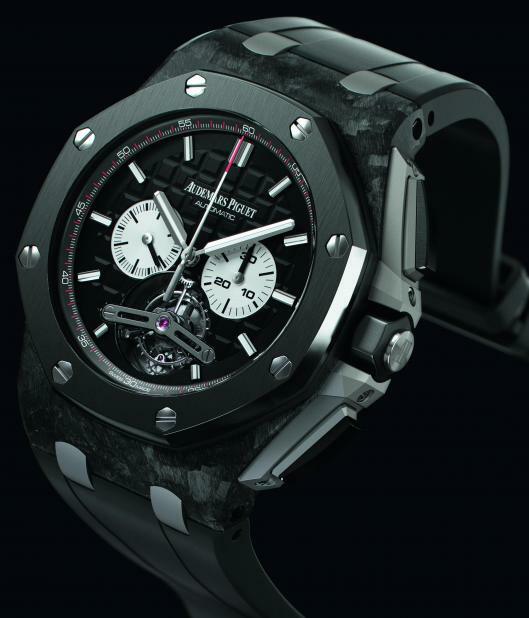 Audemars Piguet Royal Oak Offshore Self-winding Tourbillon Rs 1.2cr. Housed within a case that strongly hints at its innate sturdiness, protected by a sapphire crystal and a solid back secured by eight polished steel screws, a true masterpiece is revealed: the new self-winding Calibre 2897, equipped with a tourbillon and a chronograph. A set of 335 parts on the manually adjusted, corrected, bevelled and decorated surface creates a shimmering play on light and shade. The automatic winding is ensured by a peripheral oscillating weight, while its chronograph is equipped with a column wheel and its tourbillon optimises its rating precision. The Royal Oak Offshore Self-winding Tourbillon displays a sophisticated and powerful design, supported by a combination of black-coloured materials: forged carbon for the case middle, ceramic for the bezel and rubber for the strap. A watch with two faces, the watch is an amazing blend of two worlds. Parmigiani Bugatti’s Super Sport Rs 1.3cr. Parmigiani Bugatti Super Sport is taken from Veyron, a car that was outrageousness-squared to begin with. Where regular Veyrons have 1001 horsepower, the Super Sport adds another 200. 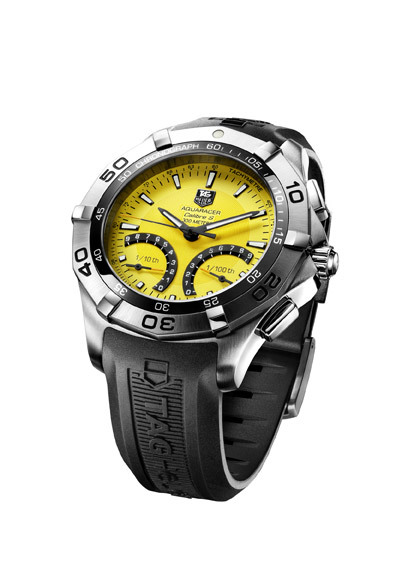 A driver’s watch, Parmigiani’s Super Sport is physically laid out so the time can be easily read by a driver while his hand is on the steering wheel. The dial is located on the side of a radically-shaped case. The sapphire-covered top of the 18k white gold case provides a window overlooking the groundbreaking power-source beneath. Two of the lugs are articulated to ensure a comfortable fit. 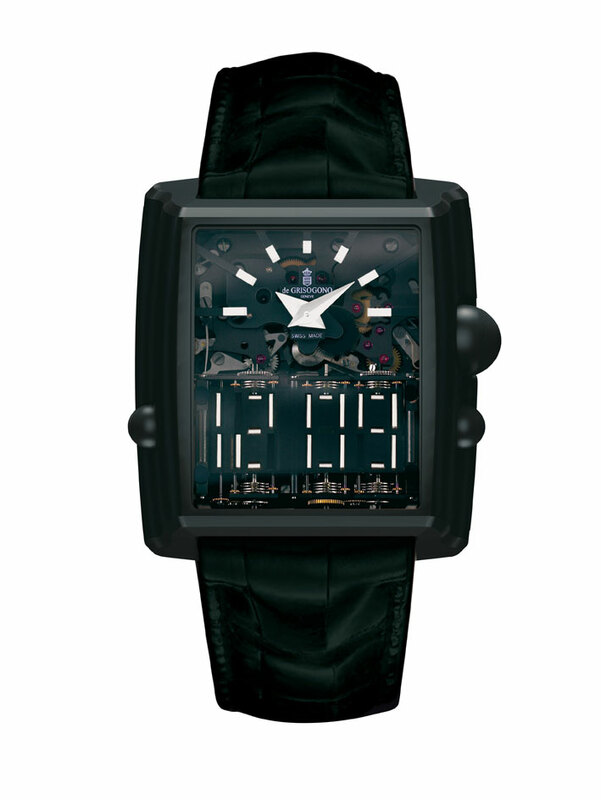 Six sapphire crystals satisfy even the most ardent horological voyeurs, providing views of the engine from all sides. In a world of size 6 movements in size 12 cases, the Parmigiani Calibre PF 372 inside the Super Sport is entirely bespoke. At the top of the case, where one might expect to see the time display, we find instead the main plate. The balance and escape wheels are visible in the 6 o’clock position. The power reserve sits at 12 o’clock with a graduated scale representing the movement’s 10 day power reserve. The movement has 10 bridges, and it is made up of 337 components. The movement is entirely fabricated by Parmigiani in-house, and this timepiece enjoys a 10 year warranty. In an homage to the Veyron Super Sport’s exterior finishing, orange hour and minute hands turn above a carbon fiber dial. 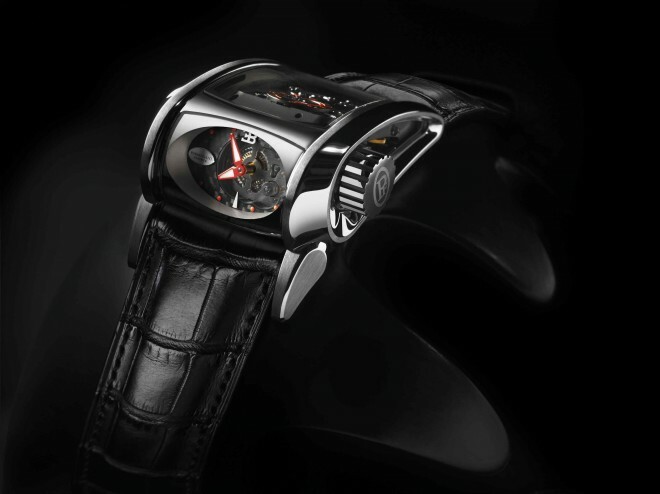 The Parmigiani Bugatti Super Sport shown here is a numbered limited edition of 30 pieces. Seiko Credor is a pleasing hybrid of mechanical beauty and accurate quartz crystal regulation. The historical complication (function) uses a pusher or sliding mechanism to sound the time back to the listener. Most minute repeaters have chimes mixes with the sounds of running gears. Seiko uses a silencing system to make sure that gear grinding sounds are minimized. Traditional minute repeaters sounds the time first in hours (you count the chimes to measure the hours, 3 chimes means 3 o’clock), then chimes for the quarter hours (15 minute segments), then the minutes. To make the math easier, Seiko has the second set of chimes sound out 10 minute installments. The timepiece itself is in a 42.8mm wide 18 rose gold case with an exposed movement on the front and back. There are double AR coated sapphire crystals and the piece is matched to a crocodile strap. It is manually wound with 72 hours of power reserve (power reserve indicator on dial) and accurate to about 15 seconds a month. Ulyess Nardin’s Alexander the Great is a super high-end fun novelty watches with a tourbillon and a minute repeater. When the minute repeater is activated, the little characters on the dial come to life and act as though they are striking the bells. So each time you hear a chime for example, one of the little character swings a sword. 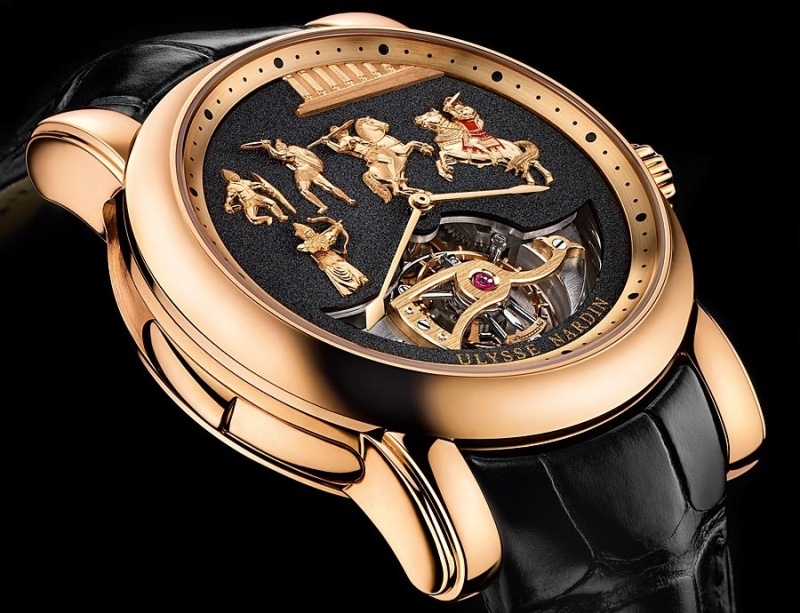 Miniaturized jaquemarts on the dial of watches l are hand-engraved in gold. What the jaquemarts are going on the dial is fighting. Apparently you are seeing the depiction of one of Alexander the Great’s battles. The watch comes in 18k white or rose gold, and the figures on the dial match that color. On this watch the dial is actually done with diamonds. 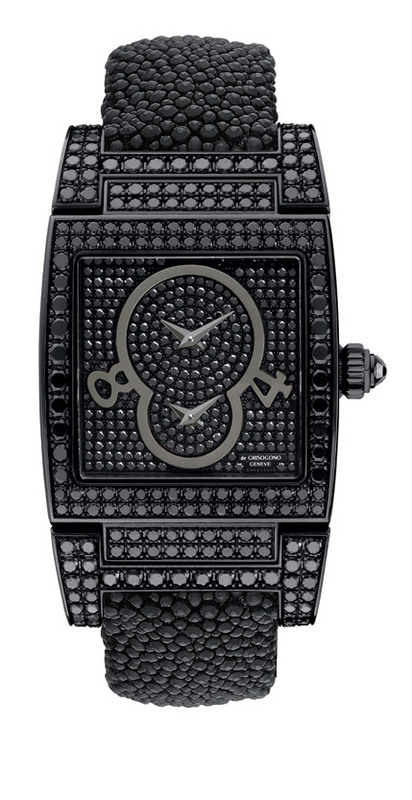 This dial is man-made and involves a single continuous sheet of diamond crystals. Under the figurines is the tourbillon – all part of the in-house made and very complex caliber UN-78 manually wound movement. There are complex movements, and there are complex movements. Seeing the operation of the watch and then looking through the sapphire caseback window shed a bit of light on this fact. The minute repeater is activated via the slider on the left side of the case. As far as minute repeaters go it is pleasant sounding with good tone. Unlike other minute repeaters with just two gongs, this one has four of them – meaning it can produce more sounds. Having the jaquemarts on the dial “act” out the chimes is the icing on the cake. The watch itself is 44mm wide and has limited edition of 50 pieces in 18k white gold and 50 pieces in 18k rose gold. Dior VIII 33mm Automatic (Bezel set with diamonds) evokes the Haute Couture heritage of the House of Dior based on timeless elegance. The watch pays tribute to the couturier. 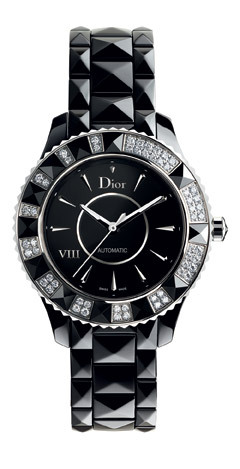 Its name, consisting of eight characters, is the lucky number of Dior’s founder. The date of his couture house’s creation was also the 8th of October 1946. The name of his first collection was baptised “en hult”. Dior’s jewellery and timepiece collection is showcased at the Avenue Montaigne and 8 Place VenDome in the VIIIth Arrondissement of Paris. Moreover, 8 is the only number that appears in Roman numerals at 8 ‘o’ clock on these ultra-feminine and classic-shaped wristwatches. 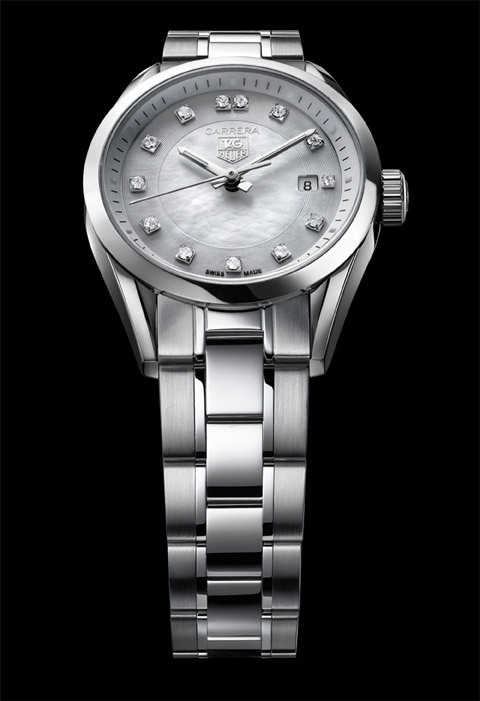 Swiss watchmaker Victorinox has unveiled its non diamond versions of Victoria at much more affordable price. Easy on your pocket this feminine and serene, the new Victoria — named after the mother of Victorinox founder, Mr. Karl Elsener – is effortlessly simple and straightforward. The seamless integration of the bracelet makes it fluid as it smoothly follows every movement of the wrist. Accessibly priced, rich to the touch and the eye, the 28mm watch is a perfect all-day wear. The natural dial colours — eggshell beige, charcoal grey or a warm shade of brown — were chosen to play down contrasts with the shimmering steel, which is finely brushed and mirror polished. The muted palette heightens the watch’s sophistication. The bracelet design plays a key role here: feeling weightless and extremely slender, its linking system is hidden from view. The links are uniquely hinged together, and the spherical middle part of the case, which meets the flat, rimless part of the bracelet, creates a subtle half-moon shape. Additionally, there is the play of textures and patterns on the dial. 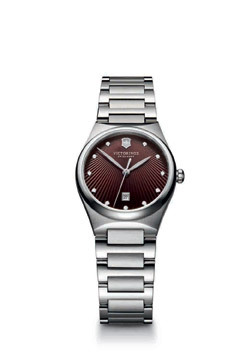 Off-centred sunrays starting at 12 o’clock draw attention to the famous logo of Victorinox Swiss Army. 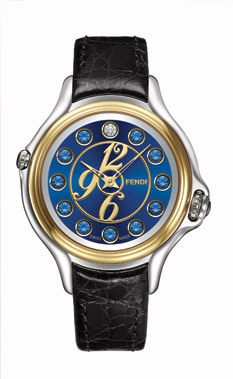 On most models the hour markers are luminescent dots set into rounded and polished cabochons. The overall effect is feminine, timeless and elegantly understated. Price Rs 35,000 apprx. Fendi has launched its latest, the Gold Limited Edition Fendi Crazy Carats. The famous patented stainless steel timepiece with colour changing gemstones is now available in a limited edition with a solid 18KT gold bezel and genuine Crocodile Leather strap. All 200 pieces are sold exclusively in Fendi boutiques and feature colour combinations from the Spring/Summer 2011 Fendi runway. Complimenting the contrasting dials of turquoise, honey, chocolate and blue with gold accents and the Fendi logo, are an eclectic mix of Genuine Crocodile leather straps, in blue, green, yellow and black. Each watch comes with a striking coloured strap and dial. The combinations are limited to 50 pieces available with your one of a kind limited edition number engraved on the case back. By turning the crown at 4:00, you can rotate the 2.9 carats of hour marker gemstones from red to blue to green genuine topaz, with a stationary diamond always visible at 12:00. Flip the 38mm timepiece over and watch the rotating mechanism at work through a sapphire crystal caseback. This striking combination of Swiss made craftsmanship and Roman design establishes an unprecedented integration of jewellery and timepiece technology. Price: Rs 1.25 lakhs approx. Meccanico dG N09:The watch in titanium with a matt black PVD coating has handwinding mechanical movement, exclusive to de GRISOGONO. It has analogue display of hours and minutes with white dauphine hands. At bottom, it has mechanical digital second timezone displayed by white mobile microsegments. It comes with power reserve indicator and has sapphire glass front and case back. Water-resistant up to 30mts, it has only 10 pieces. Price on request. ” Occhio Ripetizione Minuti” So:The 18K gold watch with a matt black PVD coating is set with 167 black diamonds (1.9 carats). It has black matt twelve-blade titanium diaphragm dial with Arabic numerals in silvered script, dauphine hands in 18K white gold. 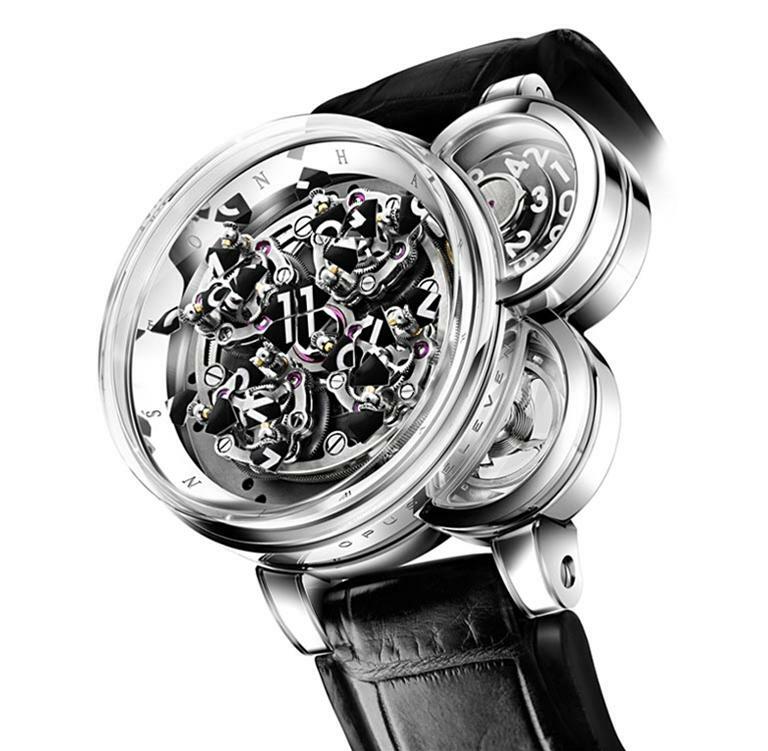 Hour, quarter and minute repeater strike on three gongs (cathedral strike) with opening of the diaphragm. Water-resistant up to 30mts it is available in limited edition of five. Price on request. 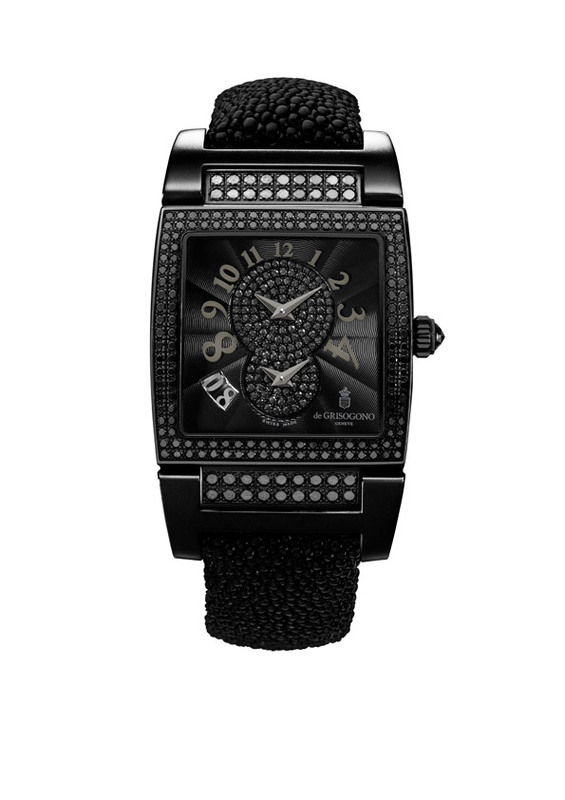 Instrumentino S34 QZ : The 18K gold watch with a matt black PVD coating set with 405 black diamonds (6.9 carats). It has quartz movement with dual time. 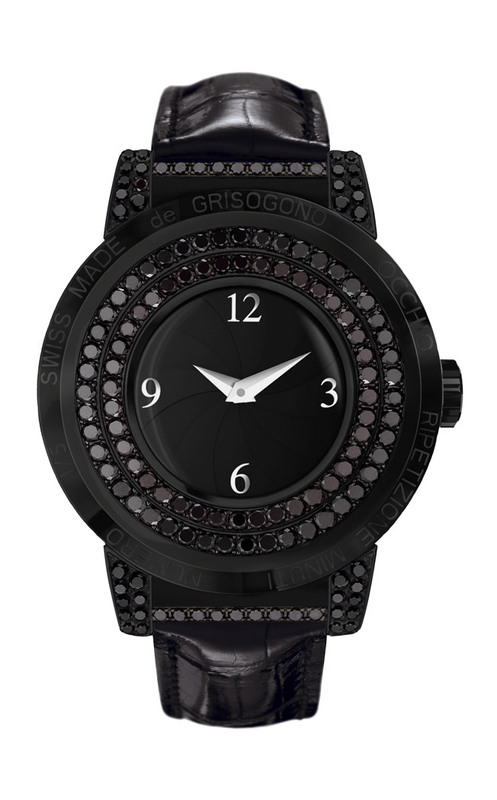 The black guilloché dial is set with 312 black diamonds (1.10 carat). 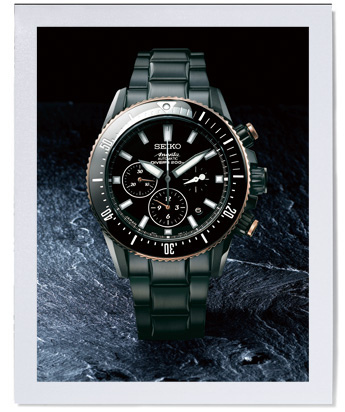 Water-resistant up to 30mts it is available in limited edition of 10 pieces. Price on request. 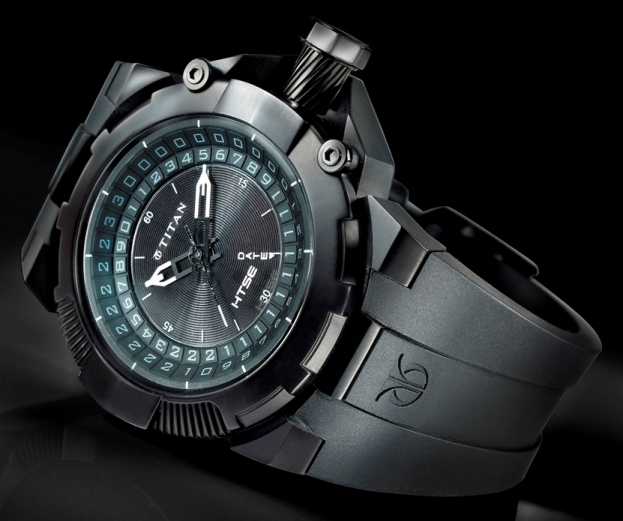 Instrumento N°Uno DF S41:The 18K gold watch with a matt black PVD coating is set with 184 black diamonds (2.2 carats). The automatic movement dual time and and date watch with black guilloché dial is set with 147 black diamonds (0.50 carat). It has grey Arabic numerals, grey dauphine-style hands and has crown set with a black diamond (0.10 carat). It is water-resistant up to 30mts. Price on request. Titan’s HTSE (High Tech Self Energized) watches is a collection of self energizing light powered watches which have a unique and unprecedented ability of being charged by any source of light upward of 200 lux power, ranging from sun light to a candle flame. These neo futuristic watches merge style with technology and mark a distinct departure from the customary classic and fashion offerings from Titan. Inspired by the most complex self energizing bodies like space stations & the space crafts, this collection is distinguished by the case contours in anthracite colours and the saucer shaped perforated dials. 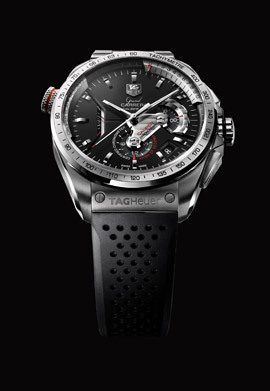 Loaded with following innovative light powered features like Quick Start Function(starts the watch from absolute dead state in 10-20 secs; Sleep Mode (increased shelf-life of the battery); End of Life (indicating recharge for the battery); Over charge prevention (to avoid the overcharging of the battery) and Time set warning function, this collection is a techno watch aficionado’s dream come true. Targeted at the young urban male, this collection of 10 choices is priced between Rs. 6,495 – 10,995. Available at all World of Titan showrooms, select leading multi brand outlets and departmental stores.